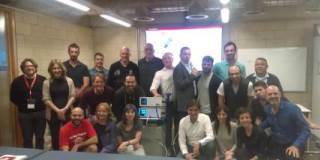 The SDCA shock wave workshop held in Barcelona on March 29 and 30 has been organized in partnership with the University of Blanquerna. 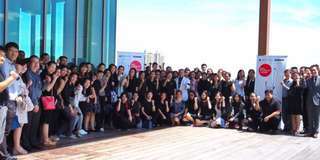 It was a successful event gathering 20 students passionate about ESWT. Let’s build together the DolorClast future! The European DolorClast® Advisory Board – EDAB – met for the first time on November 2nd and 3rd in Switzerland. The EDAB is an independent entity defining the clinical orientation of the DolorClast® Method and building its future. 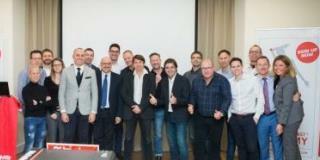 14 shock wave experts from 8 European countries are part of this new Committee. 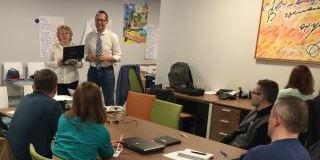 Spasiba Eurotech for making this first SDCA training happen! Eurotech, the EMS Swiss DolorClast® local partner successfully organized this training in Moscow and invited Norwegian Swiss DolorClast trainer Per Andersen to lecture and share his clinical expertise. Dr. Nick Boden, shock wave expert and specialist in chiropractic care, successfully conducted the first 2018 SDCA course in Malaysia organized on January 14 by our local partner Evo Performance. A majority of physiotherapists attended the training with a few rehabilitation doctors and chiropractors. 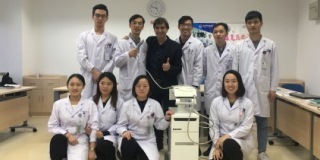 Prof. Antoni Morral, SDCA shock wave expert based in Spain, has been invited in December 2017 to make a SDCA tour in four different hospitals in the Jiangsu province of East China. His shock wave lecture was focused on three topics: spasticity, non-unions and tendon disorders. 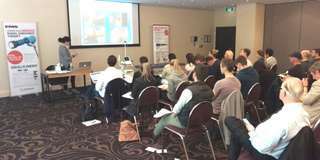 MD Solutions Australasia, the Australian EMS Swiss DolorClast partner, perfectly organized on November 4 in Melbourne a half-day training touching on the basics and contra-indications of shock wave therapy. Tina Maio, SDCA official local trainer, co-conducted the course with Sam Hunter. While Tina lectured on the upper body and shared some of her techniques as functional performance specialist, Sam focused on the lower body and also shared his expertise with the Swiss Dolorclast. 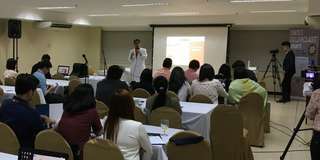 Instrumix, the Filipino EMS Swiss DolorClast partner, organized its first SDCA training on August 24 in St Luke’s Medical Centre in Manila. Dr. Reynaldo Rey-Matias, SDCA official local trainer, co-conducted the course with SDCA Indonesian trainer Dr. Arif Soemarjono and provided an intensive and high level shock wave training to participants. The first SDCA course organized in the Siriraj private hospital in Bangkok by our local Thai partner BJC had an electrifying impact on the audience ! Over 100 practitioners participated in the course including a mix of rehabilitation doctors, physical therapists, orthopaedic surgeons. The crowd led by Dr. Chakarg Pongurgsorn showed a passionate interest in the use of the Swiss DolorClast Method.